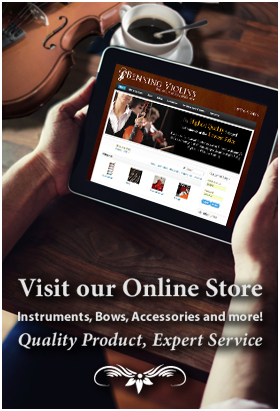 Players of fine cellos, violas and violins typically perform on fine cello, viola and violin bows. At some point in rehairing these bows, the question may arise: Should one go natural or synthetic with the bow hair? This is a question in the worlds of fashion, in food, and even in music. Just as tech fabrics are sometimes better functionally than cotton or wool (it wicks away body moisture), and lab-grown protein might reduce the environmental impact of factory farming, music too faces questions on man-made musical instrument components compared to traditional, natural sources. Piano keys are no longer made from pachyderm ivory, and some might argue for synthetic bow hair in place of horsehair for violin, cello, viola, and string bass bow hair. Indeed, it IS possible to use synthetic hair in a bow. But accomplished musicians largely dismiss it for lacking the performance dynamics of horsehair. Black hair– This is the most coarse hair type, and as such it’s preferred for the lower (bass, cello) instruments and less for violins. Black/white mix (salt and pepper or grey) hair – The mix of the two is about more than color, as the thicker black strands temper the delicate nature of the whites. Performances in outside, humid conditions fare better with this mix. Whites (traditional, platinum, golden) – The range of lighter-colored hair is preferred for upper-range instruments, violins in particular. 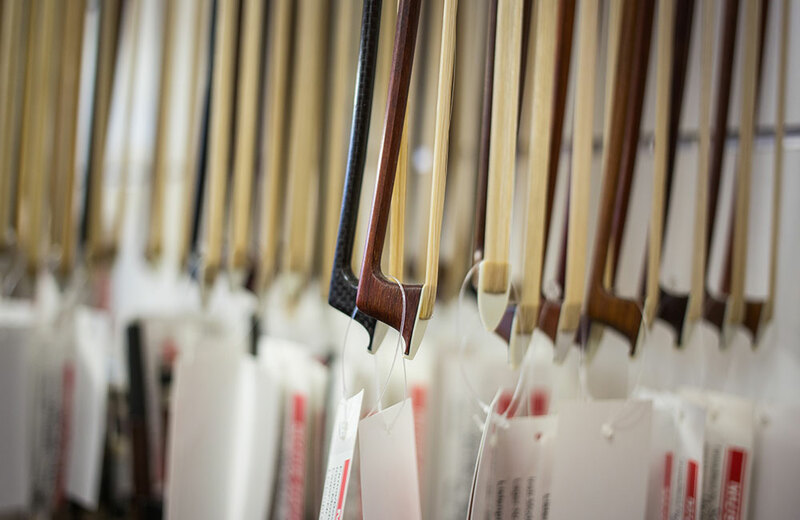 White is the default color for most bow makers and violinists alike. It’s sometimes called Mongolian or Siberian hair (note: most bow hair comes from horses that inhabit colder regions of the world, as the climate spurs stronger hair growth). Platinum white has a bit more bounce and pure tonality; golden white is thicker and therefore slightly more durable. The disadvantage with natural horsehair is how fickle it can be with relative aridity and humidity. Also, horsehair ultimately breaks, or is eaten by bow bugs. Synthetic hair is far more resilient to breakage and premature wear, and is impervious to changing humidity, delivering a more consistent sound. Re-hairing and rosining processes applied to synthetics is identical to those of natural horsehair. Only the musician can know for sure which is right for him or her, of course. But this shows there are few absolutes in life – and that it helps to be open-minded about the options.